The Maze Runner, Maze Runner: The Scorch Trials, and Maze Runner: The Death Cure are all now major motion pictures featuring the star of MTV's Teen Wolf, Dylan O’Brien; Kaya Scodelario; Aml Ameen; Will Poulter; and Thomas Brodie-Sangster. I hoped this book would explain more but a story is just that. A story. Wher is the rest of it!!!!! 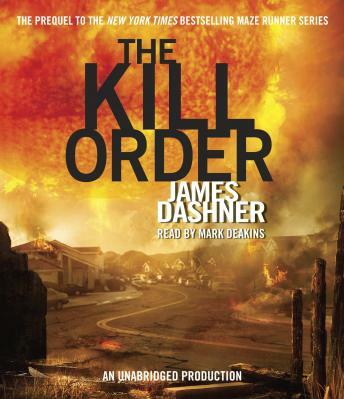 I read descriptions of the book online and read spoilers because this audio is incomplete. Do not listen to this book, it will leave you greatly disappointed.